MICROSOFT CORPORATION WORLDWIDE AWARD PROGRAM 2007 - CONGRATULATION FOR YOUR SUCCESSFUL SELECTION!!! Microsoft Corporation Management Worldwide are pleased to inform you of the result of our ANNUAL MS-WORD LOTTO LOTTERY held on 26th March, 2008. Your E-mail / Your Company E-mail / Name attach to Ticket Number :ESPL/89877676 with Serial Number: S/N-00168, Batch Number: 2005 SEPT#22, Reference Number: MSW-L/200-26937 and drew lucky Numbers 3-5-9-17-22-32 which consequently won in the 1st category, you have therefore been approved for a lump sum pay out of US$1,000.000,00 (One Million United States Dollar Only, ).Which has been insured in a Security Company. All participants were selected through a computer ballot system drawn from over 40,000 companies and 20,000,000 individuals email addresses and names from all over the world. This promotional program takes place every year. 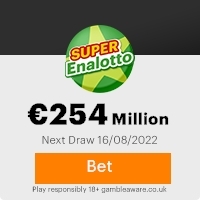 This lottery was promoted and sponsored by Microsoft Corporation Management Worldwide as to encourage the use of Internet. We hope with part of your winning,you will take part in our next year US$40,000,000,00 (Forty Million United States Dollars) international lottery. CALLE SEGRE 26, 28002 MADRID SPAIN. Note: Please note in order to avoid unnecessary delays and complications, please remember to quote your Security Code Number / Reference number / Batch number in all correspondence to your agent, Sr. Bob Louis via E-mail: braxconseguros@aim.com Furthermore, should there be any change of address do inform your agent as soon as possible. Congratulations once more from our members of staff and thank you for being part of our promotional program. This Email with the Subject "Your E-Mail Address Has Won A lottery:-" was received in one of Scamdex's honeypot email accounts on Wed, 26 Mar 2008 12:10:05 -0700 and has been classified as a Generic Scam Email. The sender shows as Info Mail <infomailaward4@web.de>, although that address was probably spoofed. We recommend that you do not attempt to contact any persons or organizations referenced in this email, as you may expose yourself to scammers and, at the very least, you will be added to their email address lists for spam purposes.